From FY 2014-15 Depreciation is to be calculated as per New Companies Act. As per Income Tax Act, Income is taxable under five heads- Salary, House Property, Business or Profession, Capital Gain and Other Sources. Salaried person must obtain Form 16 from his Employer Every Year. Income Tax Return should be filed by considering Form 16 and other Income. Transport Allowance is exempt up to Rs.1,600 per month. 30% Standard deduction is available on Income from House Property. Income to be considered as deemed let out on second House property. For self-occupied house property, deduction of Interest on Housing Loan is allowed up to Rs. 200,000/- and for other house property actual expenditure of Interest on Housing Loan is allowed. Repayment of Principal amount of Housing Loan is deductible u/s 80C up to Rs.150,000/-. 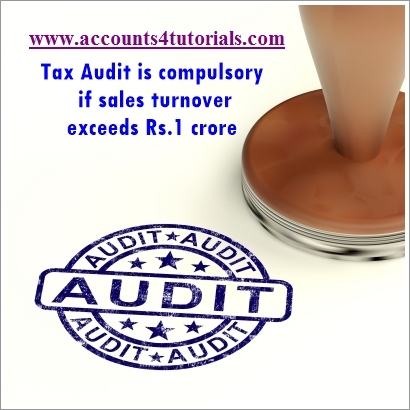 Tax Audit is compulsory if sales turnover exceeds Rs.1 crore in case of business. Tax Audit is compulsory if the Gross Receipts of Professionals exceeds Rs.25 lakhs. If sales turnover is below Rs. 1 crore, then net profit of 8% or higher is to be taken as business income otherwise tax audit is required. The Due Date for Tax Audit and income Tax Return is 30th September. Assessee other than Company and those eligible for Tax Audit are required to file Income Tax Return before 31st of July. Extended date is 31st Aug for F.Y. 2014-15. Accurate Stock Valuation should be done on 31st of March. Cash payment should not be made to a person in single day exceeding Rs.20,000. Cash Payment limit for Transporters is Rs.35,000/-. Loans, deposits and Immovable Properties transactions should not be carried out above Rs.20,000 in cash. Business loss can be carried forward to Next 8 Years. Tax Audit applicable assesses should deduct TDS on particular transactions. 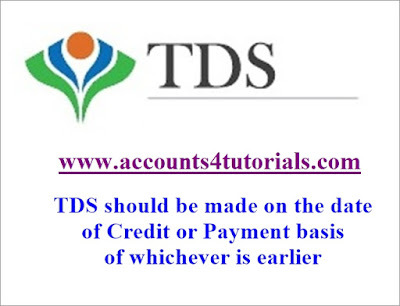 TDS should be made on the date of Credit or Payment basis of whichever is earlier. 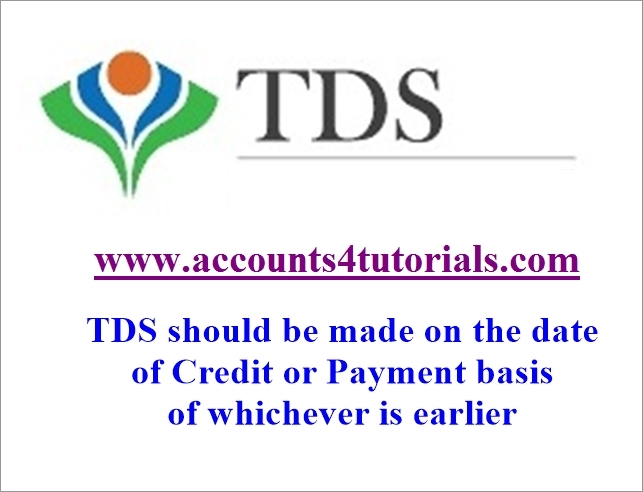 TDS payment should be made on or before 7th day of Next Month. TDS Returns are to be filed Quarterly. TDS returns can be revised any number of times. TDS should be deducted and paid if applicable. If TDS is not deducted then deduction of 30% of Expenditure is not allowed. Late filling of TDS return attracts late filing fees of Rs.200 per day. Long Term Capital Gain will arise if transfer of specified Capital Assets is made after 3 years. STT paid Long Term Capital Gain on Shares,etc is exempt from Tax. Short Term Capital Gain is Taxable @ 15% if STT is paid. Capital Gain on Immovable Properties is chargeable at Stamp Duty Value or Selling Price whichever is higher. Dividend received from domestic company is exempt from Tax. Agricultural Income is exempt from Tax. Gifts received form stranger of an Amount exceeding Rs.50,000 is taxable. Income Tax is not chargeable on Gifts received at the time of Marriage, Will, and in case of Succession and from specified relatives. Maximum deduction limit u/s 80C, 80CCC and 80 CCD is Rs.1,50,000. Deduction of Medical Insurance Premium is available up to Rs. 25,000. Deduction of Medical Insurance Premium paid for Parents is available up to Rs. 20,000. 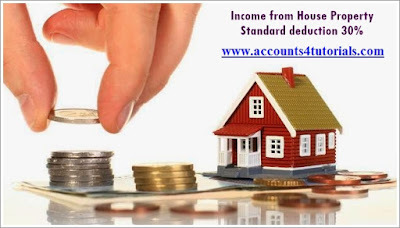 Deduction limit of Interest earned on Saving Accnt is up to Rs.10, 000. Income earned by a Minor child is clubbed in the hands of Parents. Every Taxpayer should verify his Form 26AS. 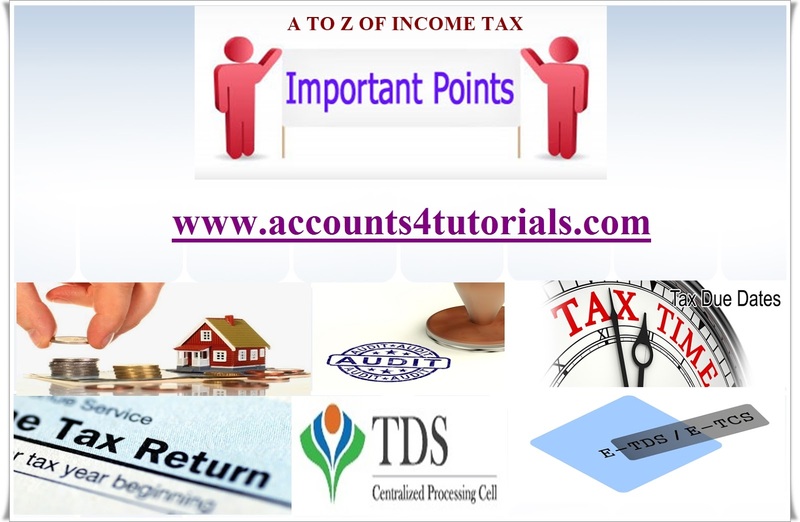 Form 26AS provides the Information regarding the TDS, Advance Tax paid and details of refund. Notice may be sent to the Taxpayer if the Income mentioned in Form 26AS and the Income Tax Return filed is having difference. Basic Exemption Limit for individuals for FY2015-16 is Rs.2,50,000. Basic Exemption Limit for Senior Citizen i.e. above 60 years age is Rs.3,00,000. Basic Exemption Limit for Super Senior Citizen i.e. above 80 years age is Rs.5,00,000. Advance Tax is to be paid if Tax Liability during the year exceeds Rs. 10,000. 12% of Surcharge is applicable if Income Exceeds Rs. 1Crore. Income Tax Return should be filed if Income exceeds Basic Exemption Limit. 30% of Tax applicable on Income of Partnership Firm, Company, LLP etc. For Companies – Minimum Alternate Tax and for other Assesses– Alternate Minimum Tax rate is 18.5%. Details of all Bank Accounts have to be given in Income Tax return. 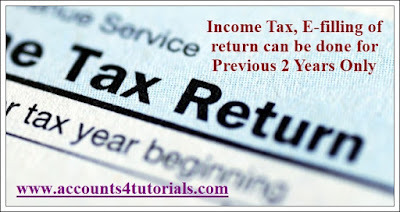 In Income Tax, E-filling of return can be done for Previous 2 Years only. Detail of Fixed Assets held in Foreign Country is required to be given in Income Tax return. If taxable income of Individual is less than Rs. 5 Lakhs then relief of Rs.2,000/- is available in Tax. Aadhar Card No. is required to be mentioned in Income Tax return. E-filling of return is compulsory if income exceeds Rs. 5 lakhs. PAN Card is essential for Taxpayer and it should not be used as Id Proof. Domestic Transfer Pricing is applicable on transaction exceeding an Amount Rs.20 Crores. Give me your Income details, then we will provide the simple way to reduce the tax.